Are you surprised? Ha ha. Of course, the wild mustangs must make the list. 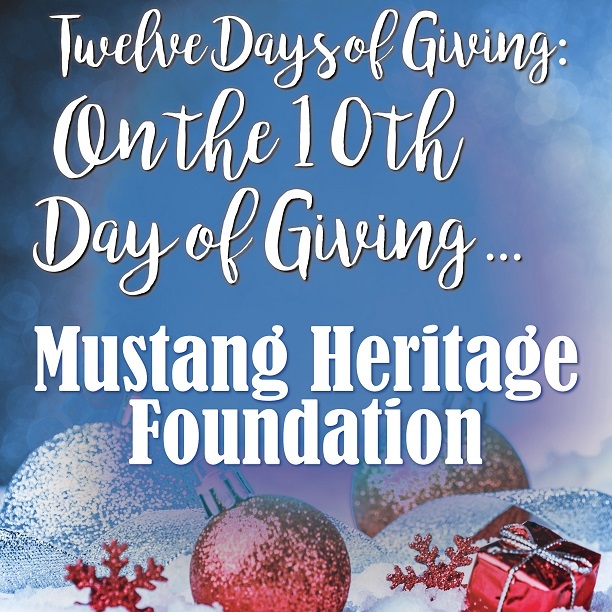 The MHF is the lead organization that facilitates adoption and training of mustangs. They work in conjunction with the Bureau of Land Management, the organization that holds the captured mustangs until adopted. The MHF is responsible for the Mustang Challenge events. So, I have them to thank for my daughter’s passion for mustangs. 😉 Of course, I am donating this in honor of Cat (aka Cowgirl Cat). Since this is the tenth day, I am donating $10/day for ten days to the organization (x 3 since it will be repeated on day 11 and day 12).